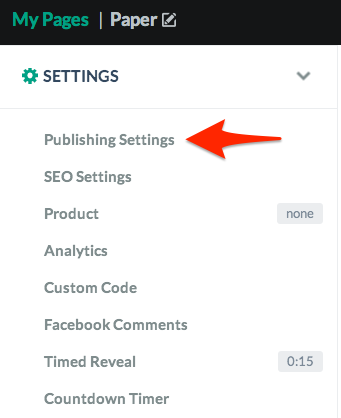 Every Megaphone page lets you configure the url used for visitors to access it. 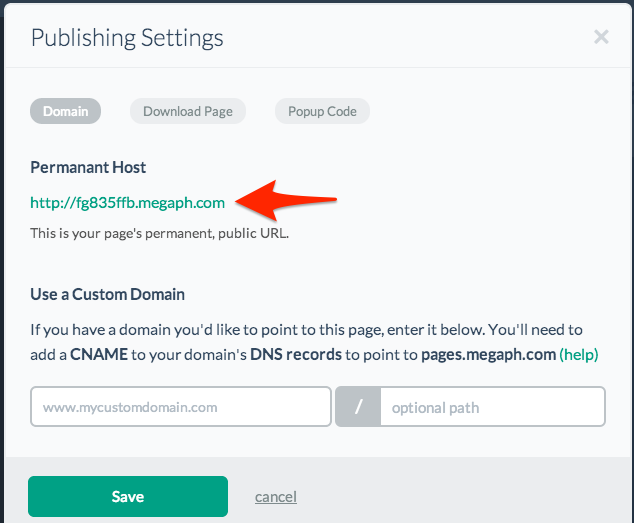 If you do not already own your own domain, Megaphone provides you with a unique url for your to share with your customer via email, your blog, or however you choose. If you own your own custom domain, you may also configure that here. Click "Save" and you're done. If you change your mind, you can click the "Close" button. Note: If you choose an optional path, this will be the url to your page. For instance, if your domain is " www.my-domain.com" and your optional path is "sales", only http://www.my-domain.com/sales will go to your page, http://www.my-domain.com will not.